Turn the dough out onto a lightly floured surface. Pat the dough down to a thickness of 1 inch. Using a 2-inch biscuit or cookie cutter, cut the dough into 12 to 14 biscuits. Place the biscuits on an ungreased baking sheet. Brush the tops of each biscuit with softened butter. 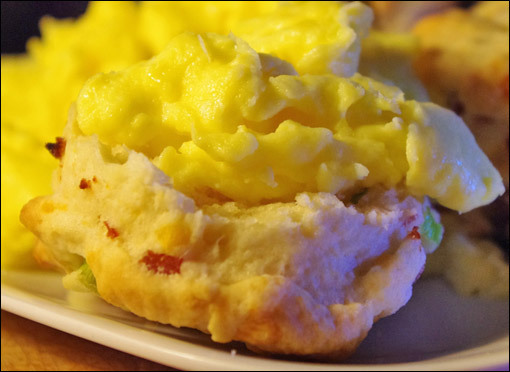 These flavorful biscuits are great with scrambled eggs. 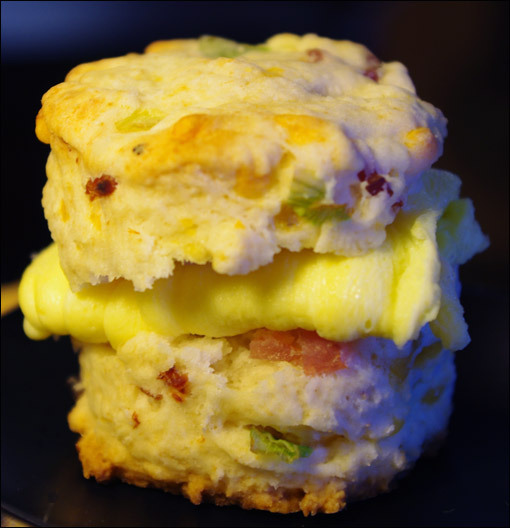 Try one with fried egg and cheese for an interesting twist on your next breakfast sandwich. Recipe number 2878. Submitted 7/12/2010.